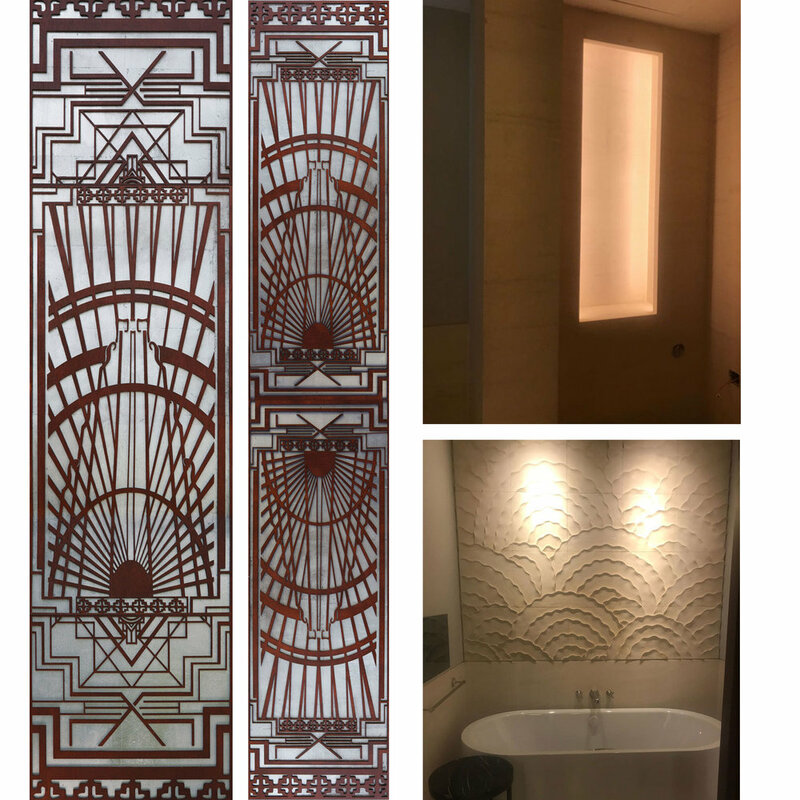 For this project, we were to create artworks to fill in the recessed area in the bathrooms of the newly-opened Capitol Kempinski Hotel. 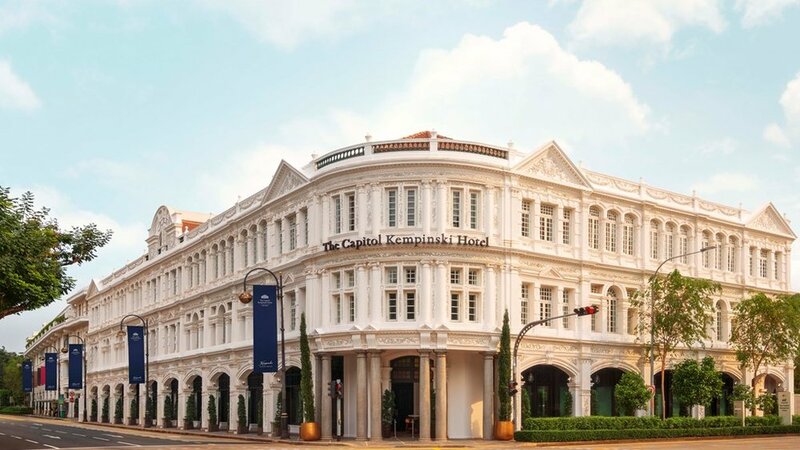 The hotel is a luxury heritage 5-star hotel housed in the restored Capitol Building and Stamford House. We created 2 long artworks In the style of Art Deco to match the nearby Capitol Theater. Each panel is made of laser-cut wood, over a Silver Leaf backing. RedRay approached Deborah as they needed artworks for their new office space. They had recently moved into a row of beautiful shophouses at Telok Ayer - the heart of the Central Business District (CBD). Deborah created a total of 6 large artworks. For the lobby, a series of 3 artworks - A Black and White house and two Shophouses. 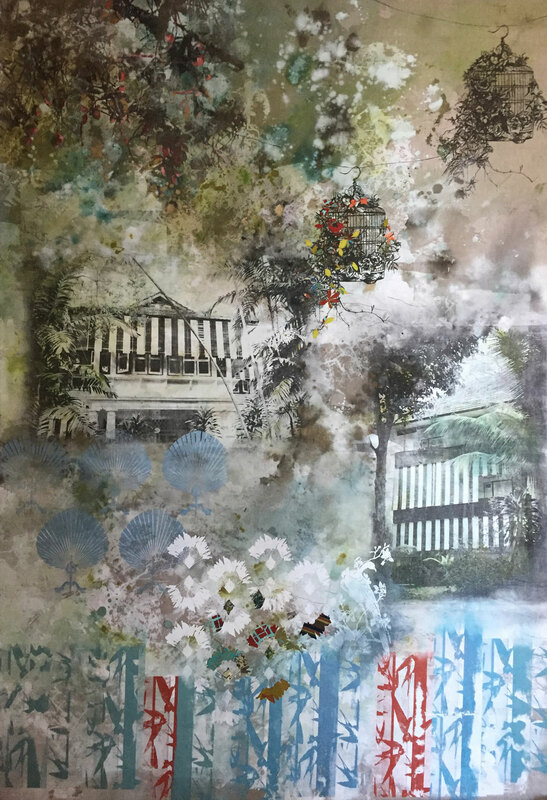 For the lounge, a triptych (an artwork divided into 3 panels) titled "Circle of Life" depicts Singapore's rich nature. 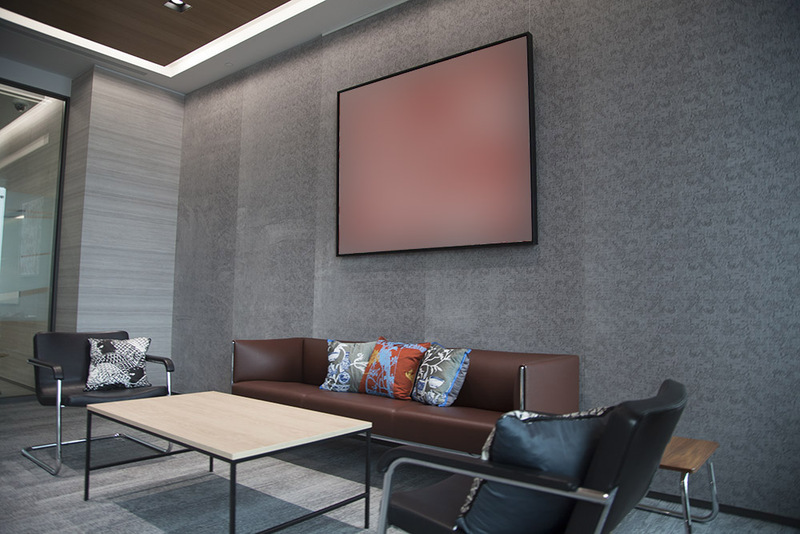 P&G approached Deborah in June 2018 for an artwork for their client lounge. 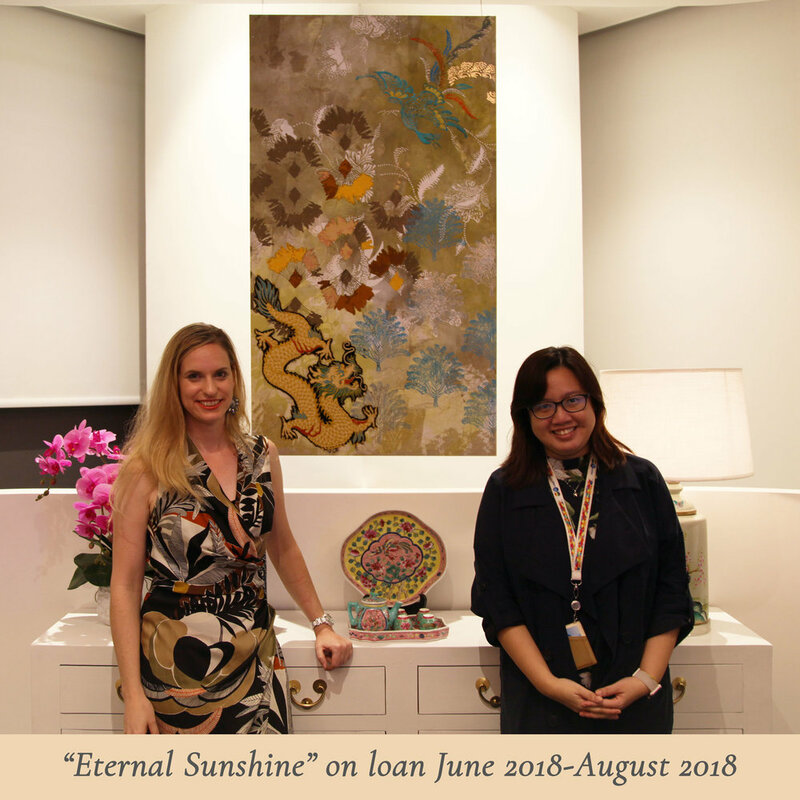 While Deborah was working on their customised artwork, another artwork, Eternal Sunshine was loaned to them to fill the empty wall for a corporate event. The 9 highly valued clients of P&G brought about the decision to place 9 fish in this artwork. In Chinese culture, Fish are used to symbolise wealth and a wish to have everything in abundance -financially, in health, or in friendship. The traditional fabrics of 9 countries are included in this artwork. The 9 countries are: Singapore, Malaysia, Thailand, Indonesia, Vietnam, Philippines, Japan, Korea and Australia. The Chinese Dragon symbolises power, strength and good luck. The Chinese Phoenix symbolises virtue, beauty and grace. Paired together, they represent a fruitful and blissful relationship filled with prosperity. 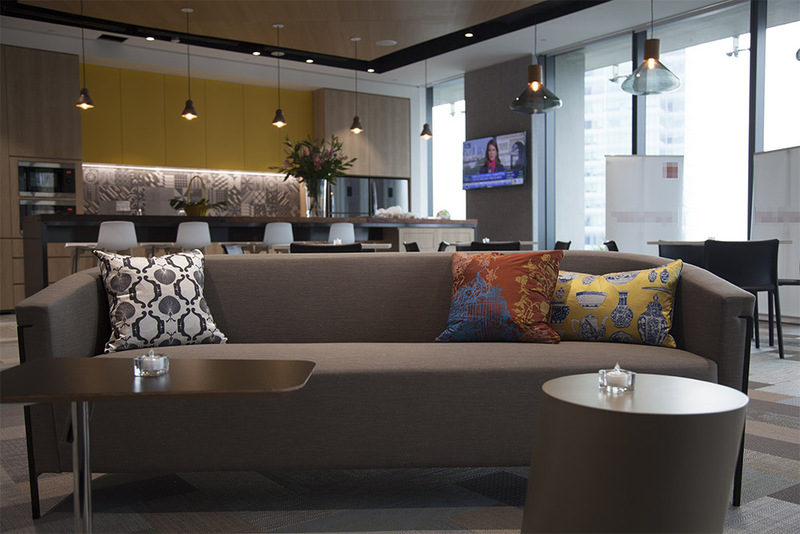 Talking Textiles was commissioned by Wells Fargo in Singapore to jazz up their new staff lounge and office space. 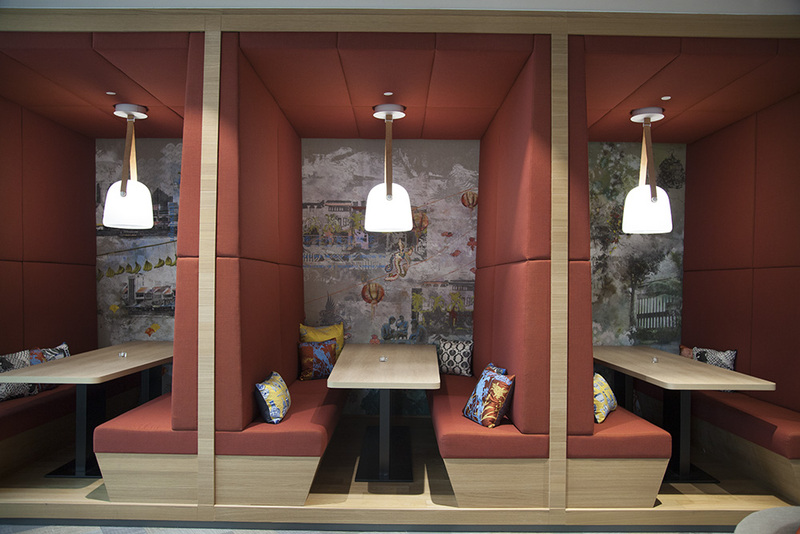 4 huge canvas artworks and over 40 handprinted cushions were created. Each artwork panel is close to 3 metres high & 2 metres wide; a challenge for us as we've never worked on anything this size! 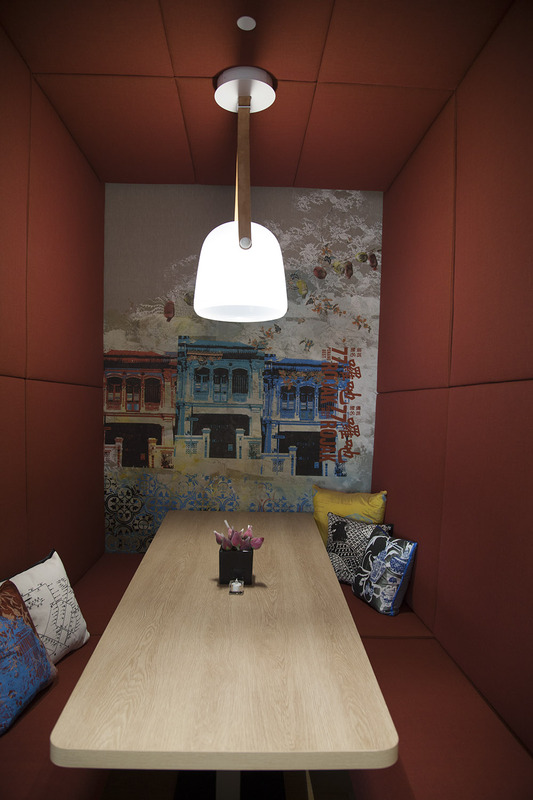 The custom hand-printed cushions - all 42 of them - complete the look in this contemporary Singapore-themed office space. 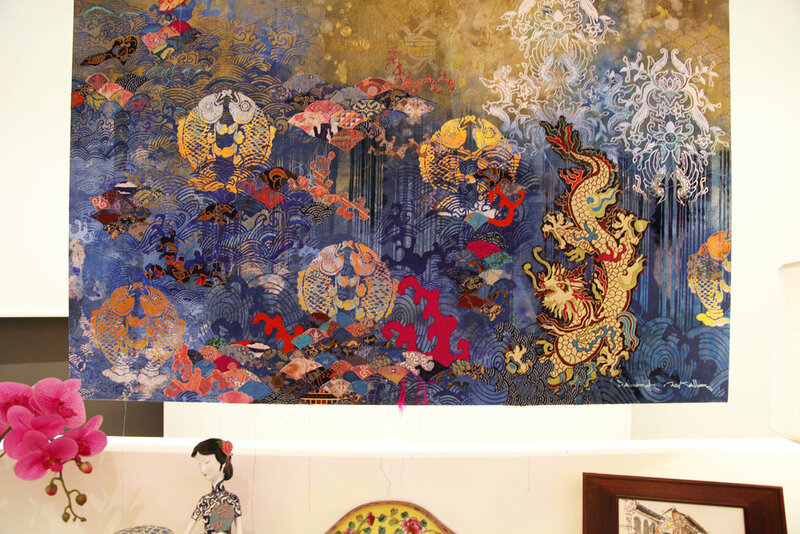 Talking Textiles was proud to be commissioned to create artworks that represent Singapore. These artworks were presented as gifts to both the President of Côte d'Ivoire, Alassane Ouattara and the President of Ghana, Nana Akufo-Addo. "Jungle Shophouse" is up on the wall of the Harneys office at CapitaGreen Building. Harneys, an International offshore law firm, was voted Offshore Law Firm of the Year by The Lawyer in 2016. If you're planning a staycation at Sentosa, you might find my artworks in the Private Villas of Equarius Hotel - Resorts World Sentosa. 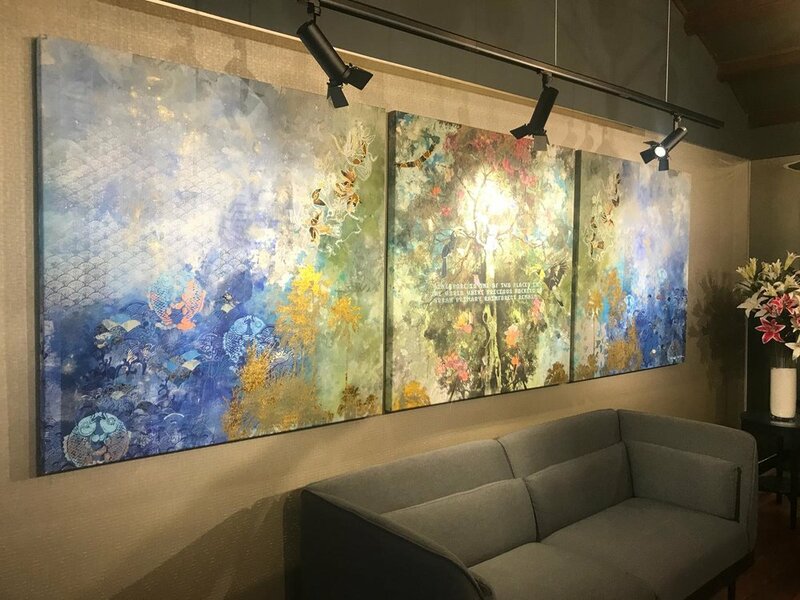 If you'd like to purchase or commission an artwork or interior product to brighten your working area, we'd love to hear from you! Please email us at talkingtextiles@gmail.com.